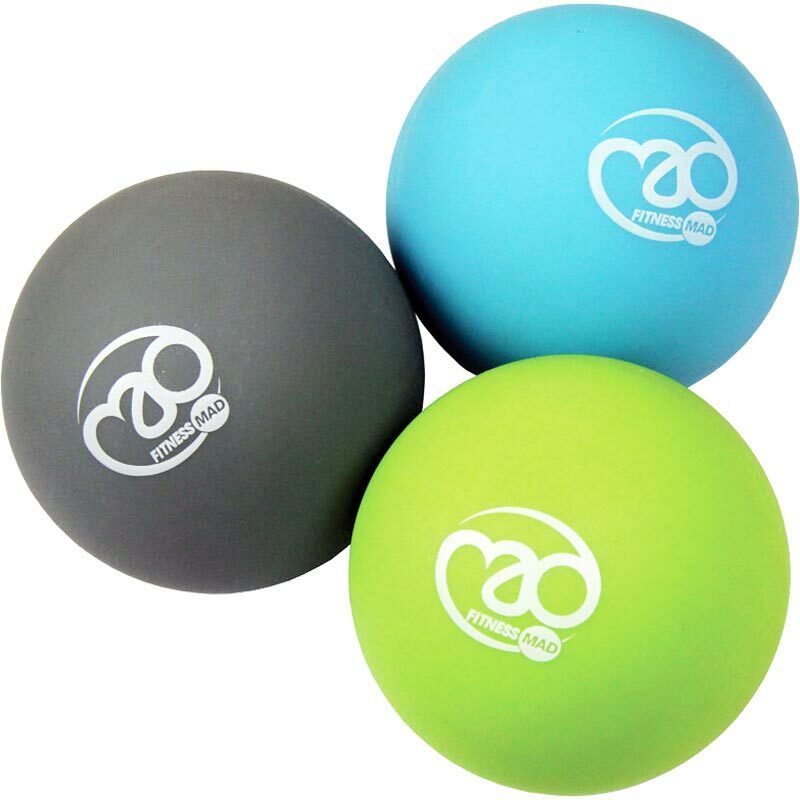 The Fitness Mad Massage Ball Set is excellent for massaging all parts of the body. Set of 3 balls - 1 x Hard (red), 1 x medium (orange) and 1 x soft (yellow). Can be used in conjunction with a foam roller for great results! Each ball is 6cm in diameter. These are very useful for self-massage and work well. The only downside is that the printed-on logo ink is not stain-free, so the first time I used a ball it left a blemish on the door post. Hence, cleaning off the ink with some solvent before using them is highly recommended.